1Two students showed off the flags of Cuba and Peru before joining the parade. 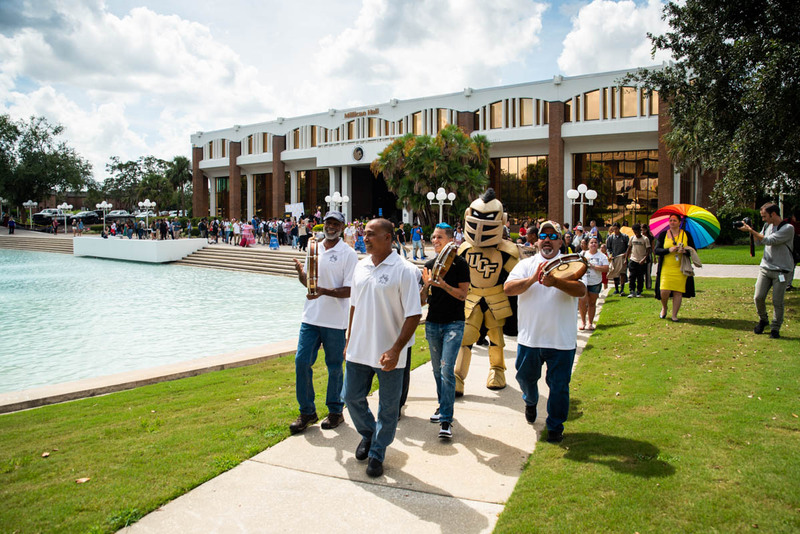 2A group of performers lead the parade as they played traditional instruments and Knightro followed behind. 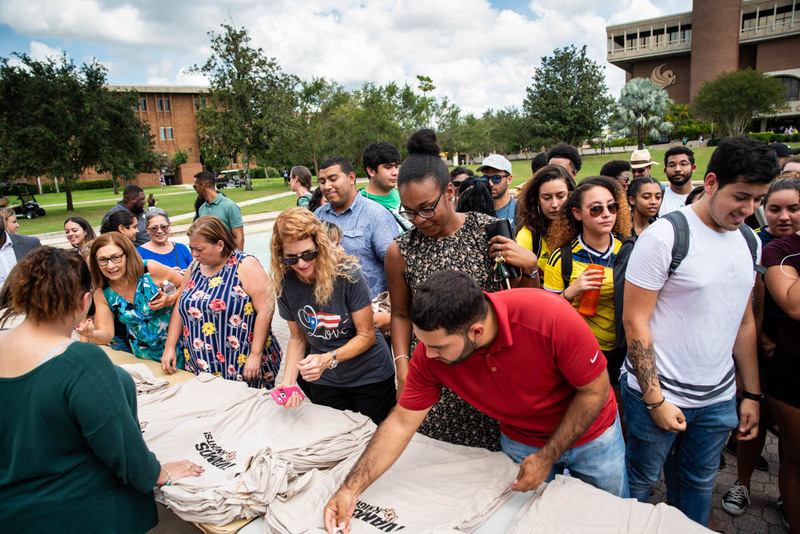 3Students were able to receive free, custom T-shirts during the event. 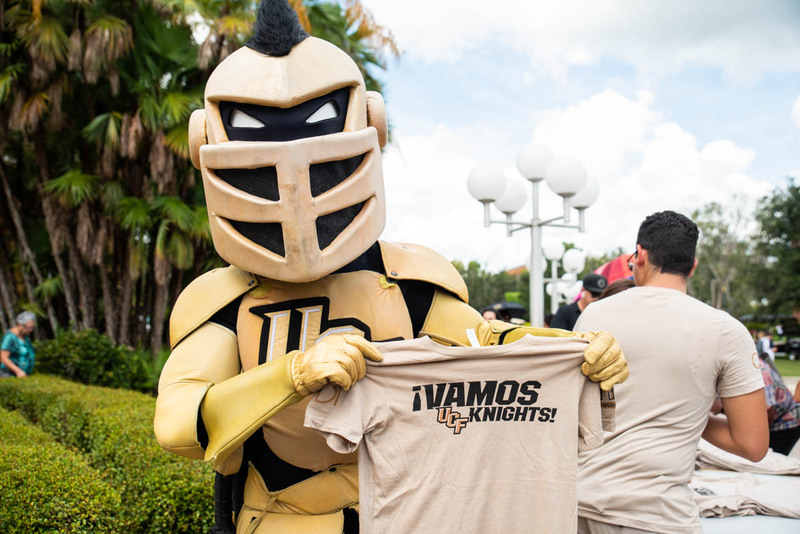 4The shirts included a design featuring the words "¡Vamos Knights!" 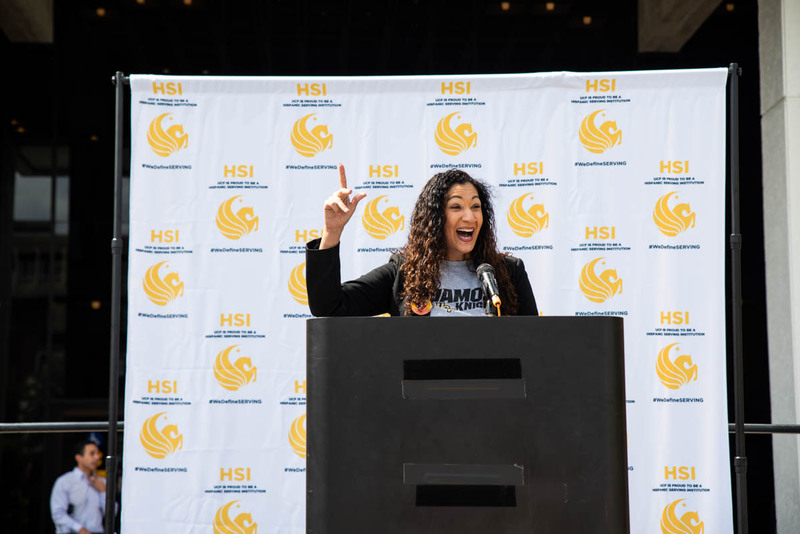 5Cyndia M. Muñiz ’13EdD, UCF's Hispanic Serving Institute lead, spoke during the event to remind everyone of the university's commitment to serving students while supporting diversity and inclusion. 6Students from local middle schools were also present during the festival. 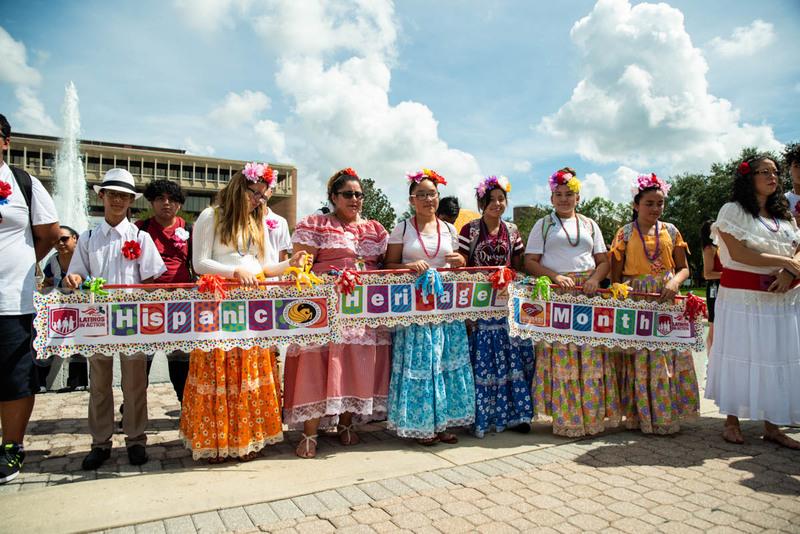 They wore traditional clothing and held up colorful signs to celebrate their heritage.